If you ask me, Russet potatoes are underrated. So is ham. And together, they are even better! Keep in mind that the thickness of the potato slices will affect the cooking time in this recipe, so I recommend slicing these about 3mm thick. Grease slow cooker pot. 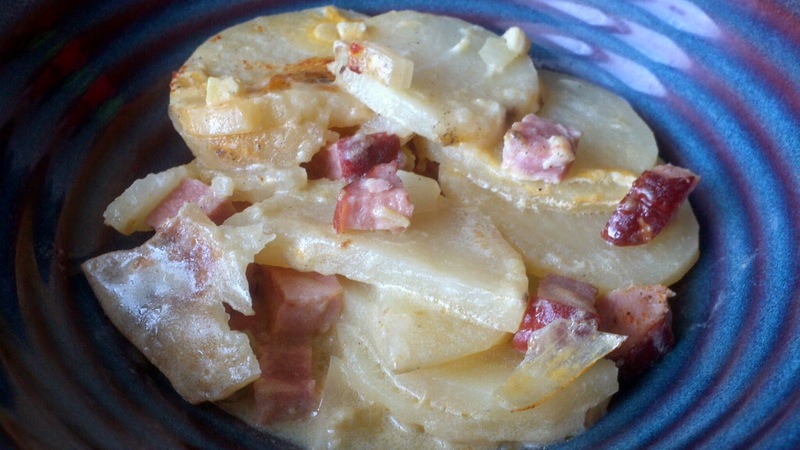 Layer potato medallions, ham, onions and garlic in pot. To soup can, add paprika and black pepper and stir. Pour over top of potato mixture and toss to coat. Sprinkle cheese on top and cover with lid. Cook for 3 hours on high, or until potatoes are tender.